A shirt for the bad girls. 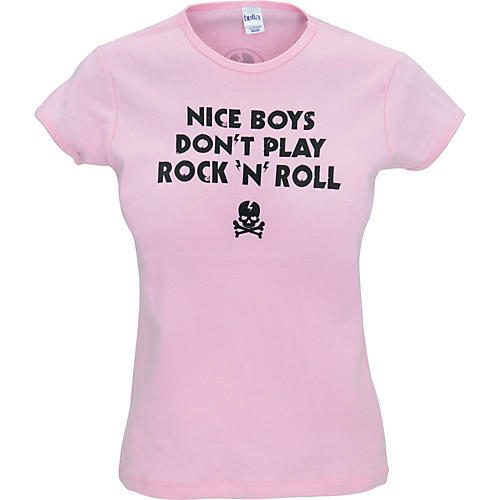 100% cotton T features the legend "Nice boys don't play rock 'n' roll" and a skull and crossbones screen printed on the front. The back has a small Full On logo with skull and crossbones.